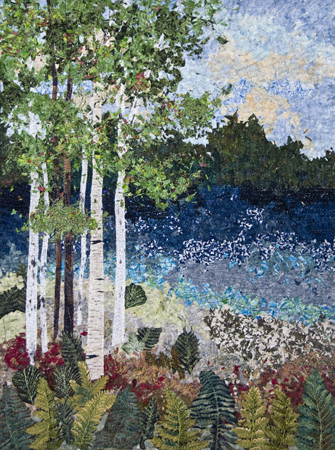 “Lake” is a northern lake scene with distant hills. 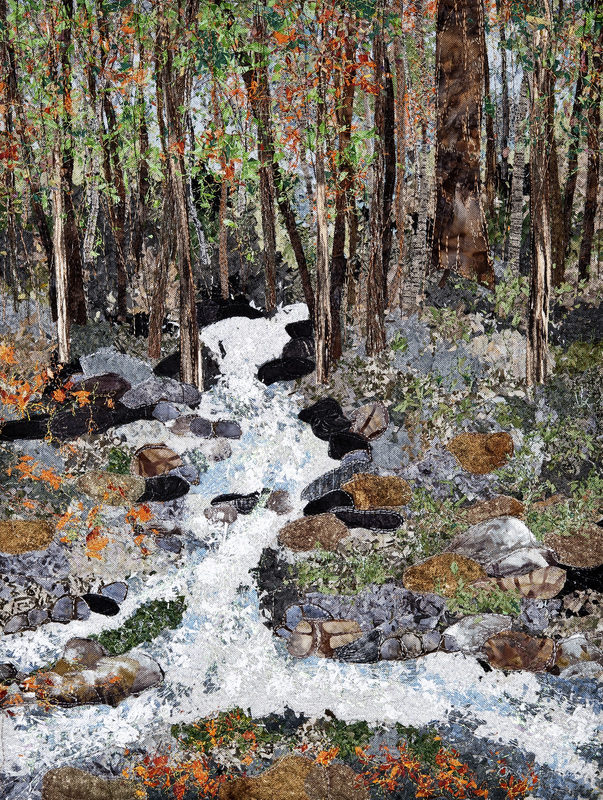 Sparkling water, trees on the left side and ferns in the foreground. 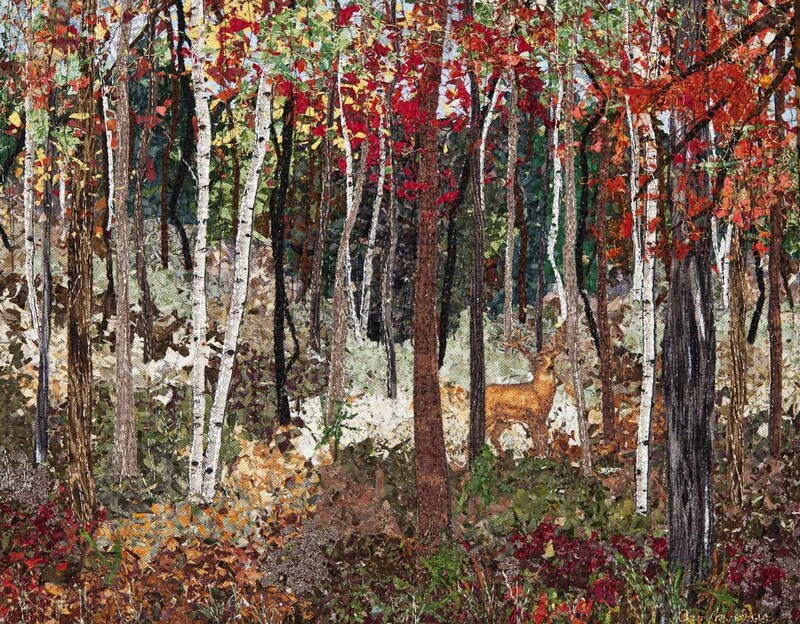 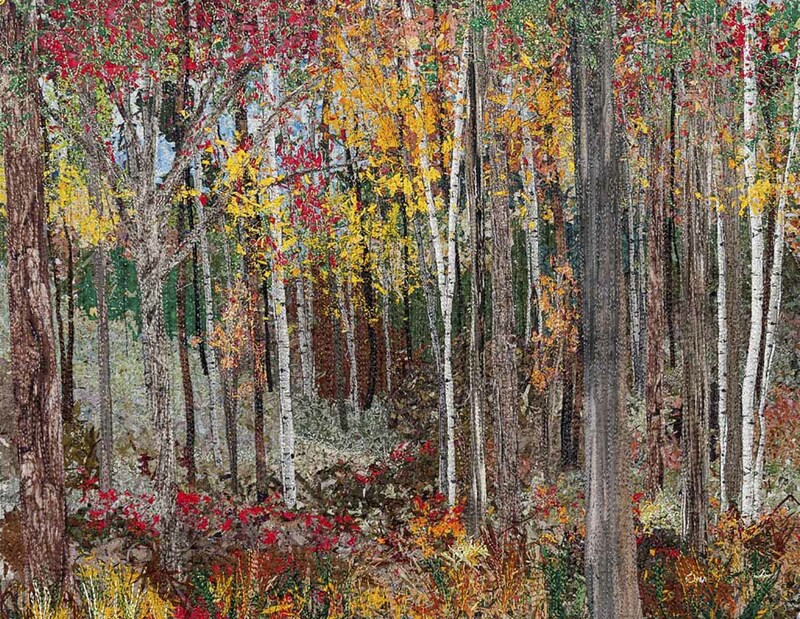 SKU: Lake Impressionistic Art Quilt. 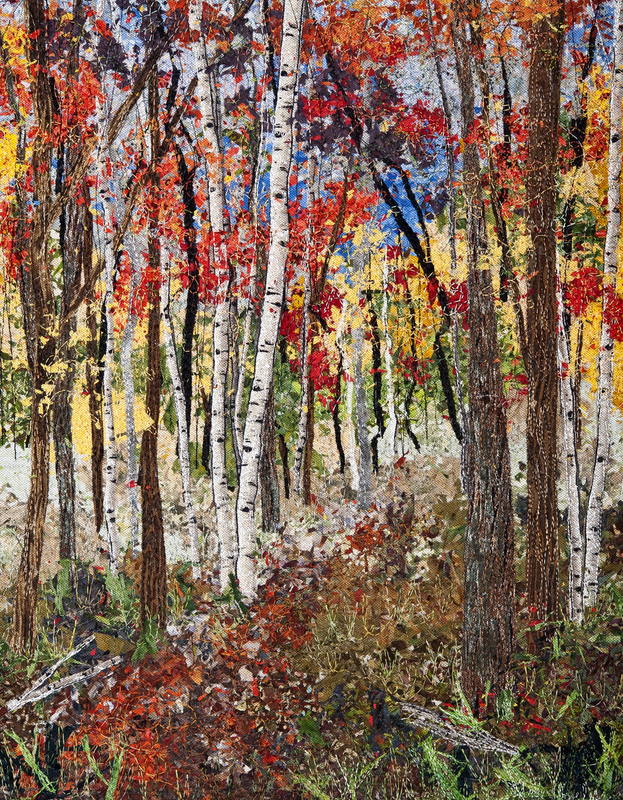 Category: Impressionistic Art Quilts.